Recently I've become obsessed with magnetic nail polishes mainly owing to the fact that when I was in the TJ Maxx the other day I found a bunch from Nails Inc for .99 cents on the polish rack. 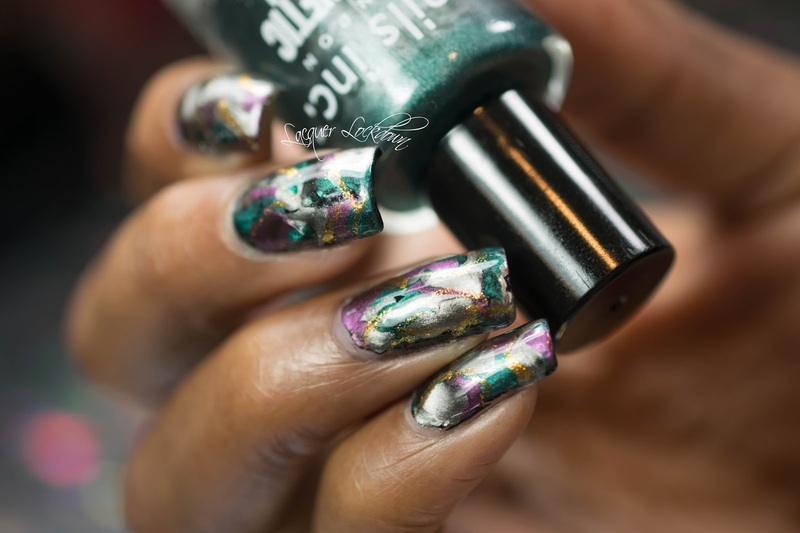 I figured after seeing some of the amazing things The Swatchaholic and some Russian bloggers (yes in fact its always Russia - they must be putting something in the water over there) using the Masura magnetic polishes I had to take a shake at it. I will admit I did not get the effect that they did I think due in part to the fact that I did not have a very strong magnet as they did, but the effect was so pretty I'm going to be trying LOTS more of these in the future +/- stamping! This ended up being disturbingly hypnotic to look at. Almost the same way I got a little obsessed with that scattered foil mani. 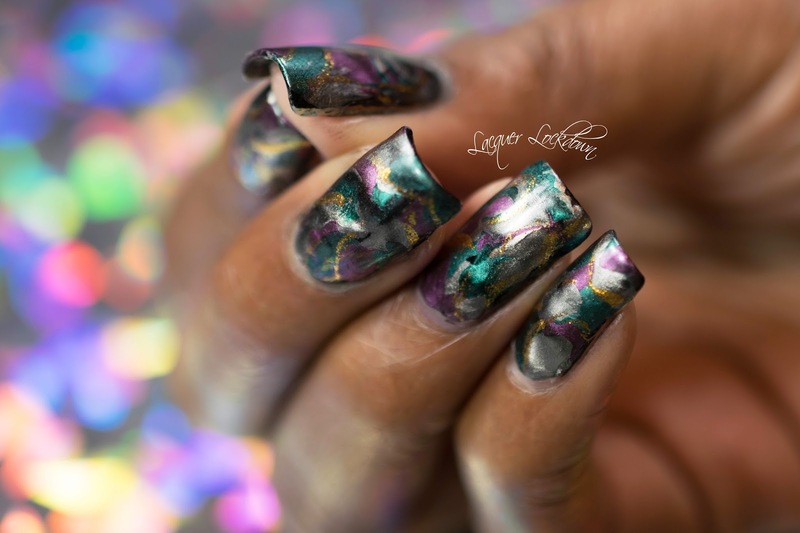 The thing about these magnetic polishes is they constantly shift with the angle of light and it is VERY different from the way that a holographic will shift. I understand why people have gotten obsessed with these Masura mani's now. You really can't stop looking and the more you look the more you want to look. The magnet I used here was from the top of the cap on the polish. However, this effect would be even more pronounced with a stronger magnet so of course I went right ahead and bought one - a Neodymium one. Lol. Yup once I get going with something I will continue until the bitter end or at least until all its mysteries have been revealed to me and I've mastered it's technique. In any case its looking like 2016 is going to be a year packed with lots of technique for me as well! I hope you don't mind that I seem to be doing a lot more than stamping these days. However eventually stamping will come back in. For this technique I think before I can add stamping I have to master the actual look of the mani first. I will also need more than the 3 polishes I currently own. 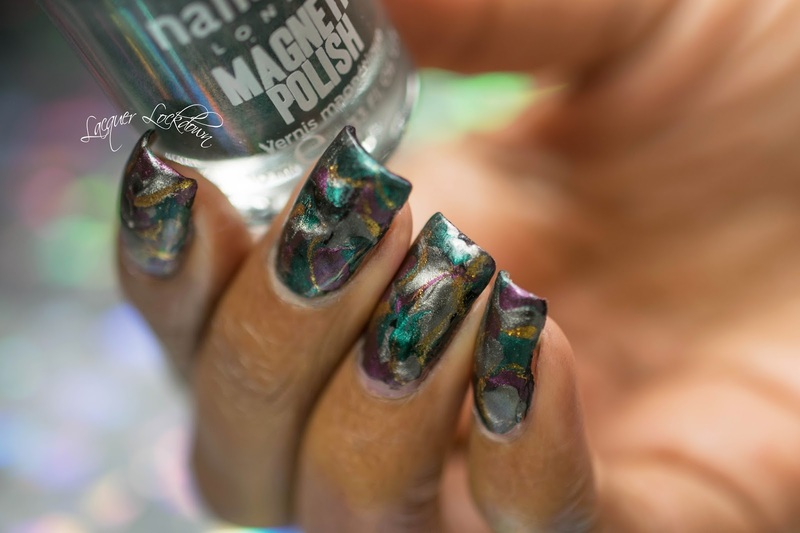 I never got into the magnetic polishes before since honestly I felt like they were a bit of a phase. Now I'm glad I waited since you can find bunches for relatively cheap on Ebay etc! So what do you think? Anyone else given this technique a try before? I'm super excited for the possibilities! Thanks for reading and I'll see you next post.